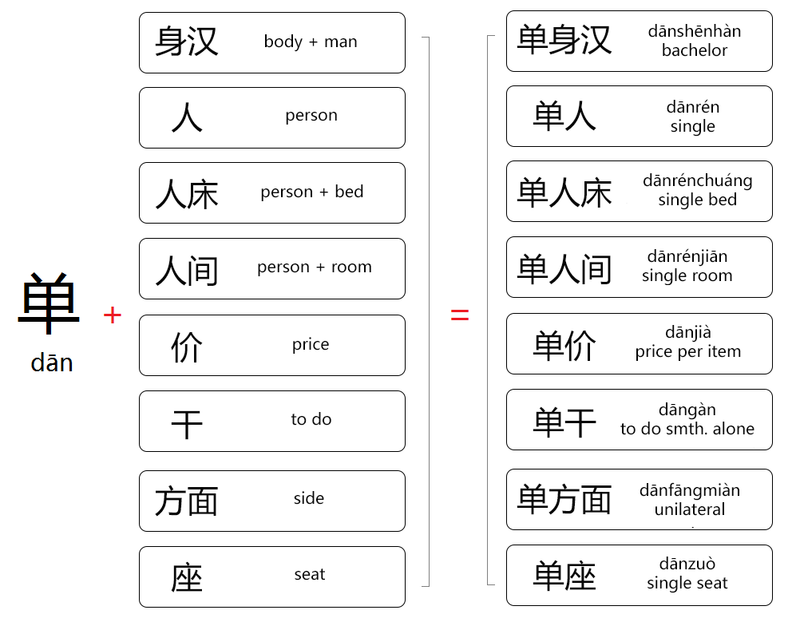 In the article about Chinese negative prefixes, it was already mentioned that Mandarin Chinese is rarely described as a language having prefixes. However, 单 (dān) is a good example of a meaningful morphem that has very strong word-building ability. 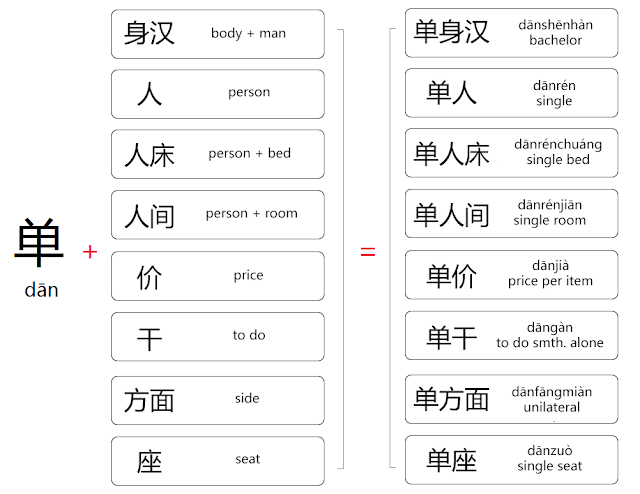 As a prefix, it usually means “one-”, “mono-”, ”uni-”, “single”, etc. 请把这本书单方！ - qǐng bǎ zhè běn shū dān fāng - Please keep this book in a separate place!